I'm playing catch up with my pregnancy updates and bump pics. 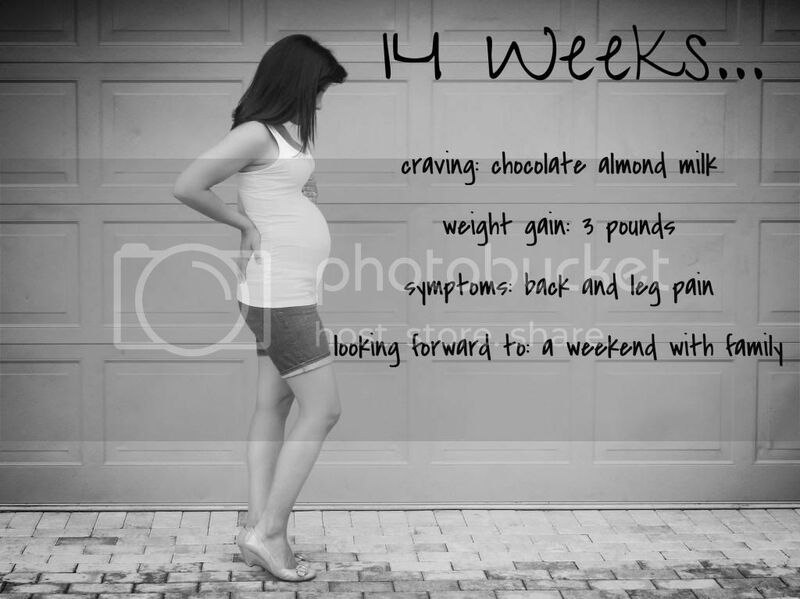 I'm now in my 15th week but this photo was taken when I was exactly 14 weeks. This post is kind of a mix of an update and my bump pics. My husband has said a few times how fast he feels this pregnancy is going compared to the last time around. I have to disagree. I actually am very happy and surprised over how much I have been able to focus on this new little baby growing inside of me. I often hear how the second pregnancy goes too fast and many moms don't feel like they get to bond with their unborn child as much as the first one. Of course, there are some challenges getting in the way sometimes but once Cruze is down for the night, I find myself reading up on all sorts of pregnancy things and thinking about how my baby is growing. It's just so fascinating. I have been feeling him or her move quite a bit. I actually felt the first flutters at just 10 weeks. And yes, they were baby flutters... not gas ha! My belly seemed to pop out SUPER fast but a lot of it must be bloat because I feel smaller now than I did with Cruze or even smaller than I was last week. Or maybe it's just my imagination? I'm still enjoying my excercise routine and so excited over my growing belly. You look so freaking cute, the perfect little baby bump. I still can't believe you're pregnant again, so exciting!! !